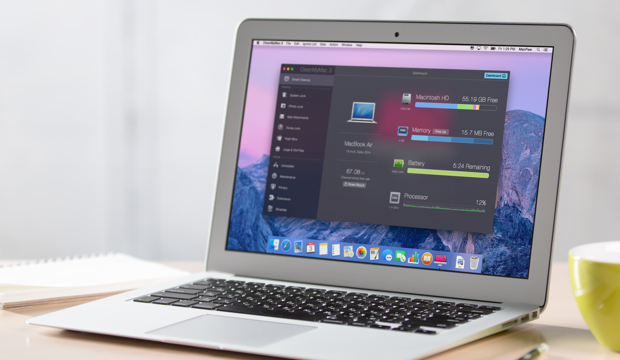 It’s here, our third generation of Mac cleaner — CleanMyMac 3. Over the past 7 years, we’ve been working hard to craft a beautiful, yet simple-to-use, Mac optimization and cleaning tool. CleanMyMac has come a long way since it was first released. We’ve been listening closely to your feedback and have worked endlessly to improve our product. After the release of CleanMyMac 2, we continued to mold and perfect our creation. By revamping our established cleaning algorithms, we’ve improved on our targeted goal of giving you the safest and most thorough cleaning possible. We’ve also expanded on our existing modules and features to give users the tools to achieve the perfect Mac optimization. CleanMyMac 3 has an additional four modules and several new features that we have the pleasure of presenting to you now. 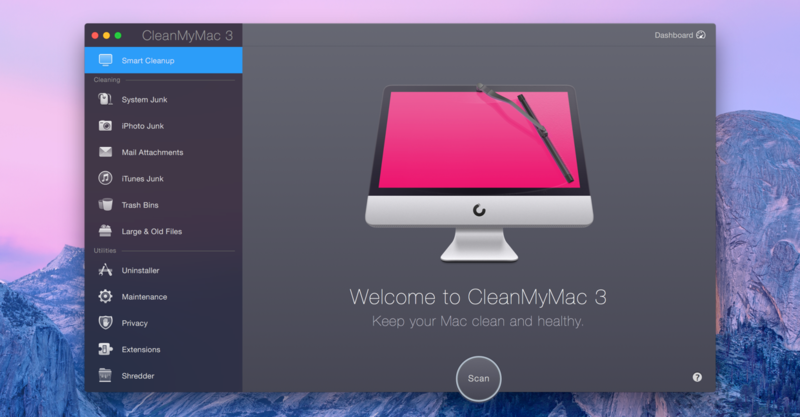 What’s new in CleanMyMac 3? Mail Attachments The Mail Attachments module allows users to safely clean up all the extra downloaded attachments from their email. The little module is simple but it packs a punch. Freeing up all those downloaded attachment files gives you gigabytes of extra hard drive space and helps to bring your Mail app back up to its optimal functioning speed. iTunes Junk The iTunes Junk module digs deep into your iTunes application to pull out some of the forgotten files within it. Regular use of iTunes leads to the accumulation of old software updates, broken downloads and old device backups. The iTunes Junkmodule is designed to turn that graveyard of junk data back into the fast and clean app iTunes used to be. Maintenance With Maintenance, performing application and system maintenance is easier than ever. This module is designed to keep your Mac’s gears spinning smoothly. It will resolve improper application or system behavior and run routine maintenance tasks. Privacy This module is specifically designed to make it easier for users to clean up their online and offline activity. It lets you clean up stuff like browsing activity and old chat history. Everything from search autofill to old Skype chats, the Privacy Module takes care of the old, recorded activity you just don’t need. In addition to these new modules, CleanMyMac 3 has two very special additions that make the application unique, the first being the Dashboard. Neatly resting in the top right corner of CleanMyMac 3, the Dashboard gives users vital information regarding hard drive space, RAM memory usage, battery charge cycles, and a gauge of CPU consumption. The Dashboard also gives users the ability to quickly free up any RAM that is unused by vital system processes. This gives users the ability to harness precious RAM memory when they need it most. The second special feature is the CleanMyMac Menu. It allows users to quickly manage the most vital parts of their system while CleanMyMac 3 isn’t launched. The battery, the current hard drive capacity, the RAM usage and the Trash can all be accessed via the CleanMyMac Menu. In addition to these monitors, users have the ability to quickly free up RAM. The icon also has a quick launch button so the CleanMyMac 3 app can launched, instantaneously, at any time. All users who bought CMM2 between March 7th-April 6th get a free upgrade. All CMM2 and CleanMyMac Classic users have a lifetime 50% Off Upgrade Discount. For non-CleanMyMac users, we’re offering Special 50% Off Discount during the release week, which runs April 7th thru April 14th. Users will need 43.3 MB of free space on their drive and OS X 10.8 or later in order to upgrade to CleanMyMac 3. There have been so many extra special things added to CleanMymac 3 that you simply must see for yourself. Download the app for free and let us know what you think on Twitter and Facebook. Or send some in-app feedback. We are always listening and working to bring you the best. With all that said, we hope you enjoy CleanMyMac 3.